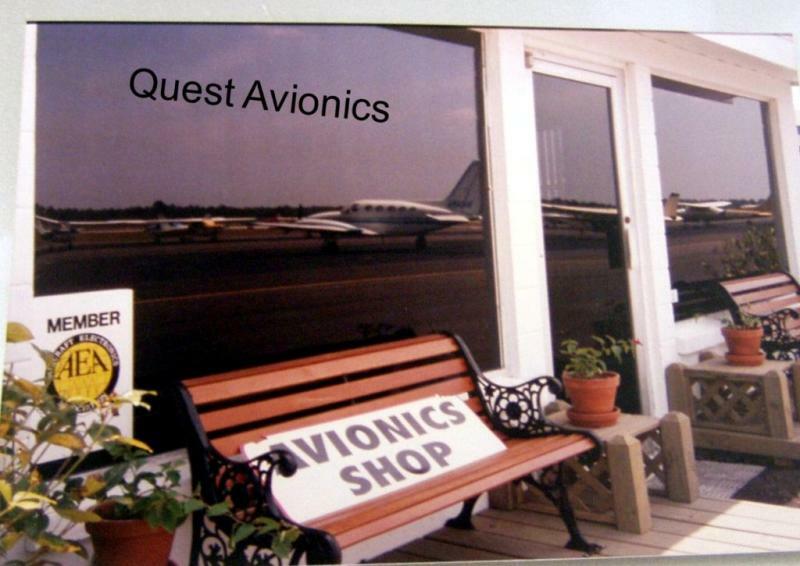 Welcome to Quest Avionics, Inc.
We are North Central Florida's leader in avionics. Dealer for Garmin, S-Tec, PS Engineering, Avidyne, Aspen, L3, TransCal, Trig, DAC, Bendix/King, and more. We provide custom installations and service most avionics. Provide 2 year certifications of Transponders, encoders, altimeters and static systems required by the FAA. The time crnch is on for ADS-B installations. This year will go by quickly so now is the time to contact us and get on our schedule to have the ADS-B system of your choice installed. Also we have the Sky Beacons in stock ready to go. Aspen has their "E 5" available and are shipping as of today. Contact us now and let's get one installed in your aircraft at the start of the New Year. FAA Reintroduces the ADS-B Rebate!! The Federal Aviation Administration recently announced it is relaunching its $500 ADS-B rebate program effective immediately and through Oct. 11, 2019. The agency is making $4,900,000 available under the rebate program, which will fund 9,792 ADS-B Out installations. Contact us now for your ADS-B upgrade and get that $500 before it's gone. We are now a TruTrak Autopilot Dealer. Looking for low cost Autopilot for your Cessna 172, 177 Contact us and see what we can do for you. Plus now through June 30th Appareo is offering their USB power port included in an installation of their ESG ADS-B Transponder system. Tax time is in the books or should I say the IRS. Also "Sun N Fun 2018 " just wrapped up. If you missed it there were numerous specials and new avionics to consider. PS Engineering has there new PMA-450B Audio Panel, it's amazing what it can do and easy to operate. Aspen has a new version of their PDF the "E5" which competes with the Garmin G5 systems. These are just a couple of new avionics to consider. PLus if you were in attendance and went to the Appareo seminar you were given their card for a Appareo USB power port, a $350 value. Let us know if you received one and are ready to have the Appareo ESG ADS-B Transponder installed. Lastly, the TKM MX-155 replacement for the King KX-155 looks like they are about to be able to start shipping non-Tso'd unit next month. A long awaited unit for all you aircraft owners with KX-155's that need to be economically replaced. Whew! There is so much more to talk about, but we would rather you give us a call or stop by and talk. See you or hear from you soon. The new year is moving quickly. Now is the time to get your ADS-B equipment for your aircraft. There are a wide variety of avionics to chose from. Stop by and talk to us about what is best for your aircraft. For all our customers who have stopped in the past several months you have seen some changes in personnel. To start it has been just over a year since the passing of Kerry Rhodes, our company's long time Technician. His loss has been felt daily since he has gone to that big Avionics Shop in the sky. Most recent is the retirement of Phyllis Rowe, the voice and face of Quest Avionics since day one. But we look to the future and will continue to provide the best in avionics to our customers. With the best service and prices. Appareo has a new USB power source available for aircraft. Dual ports with plenty of power to keep your IPAD, I-phone, or other devices operating while you are flying. Contact us now for more details. Remember these frequency's Tower, Local Control 119.25, andGround Control 121.40. VORTAC 113.70 & ILS 111.50. FBO, SHELT AIR's frequency 129.375. Operating hours are 7:00 am to 8:00 pm daily. For all of your avionics needs.